Microsoft has implemented its great Genuine Advantage system in the Office suite. 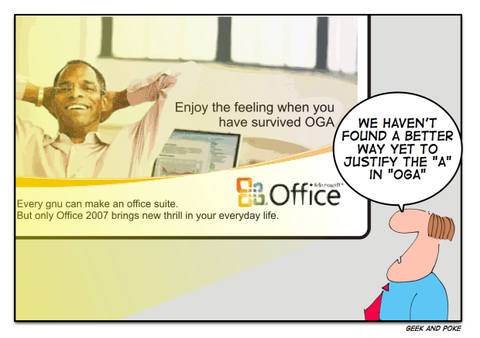 It's called Office Genuine Advantage (OGA) (see PC World or ZDNet). But they should start a campaign to show the users all the huge advantages it brings to them.